He ignores that consumers have cut back on spending, the government spending cuts have a negative impact on the economy and state and local governments and the housing market is in the tank. Unbelievable, but true. Most economists and prinicipal financial leaders agree that immediate reductions in spending will have a bad impact on our economy. My friends, prepare yourselves for a multi-year stagnation in unemployment and growth in the US economy. 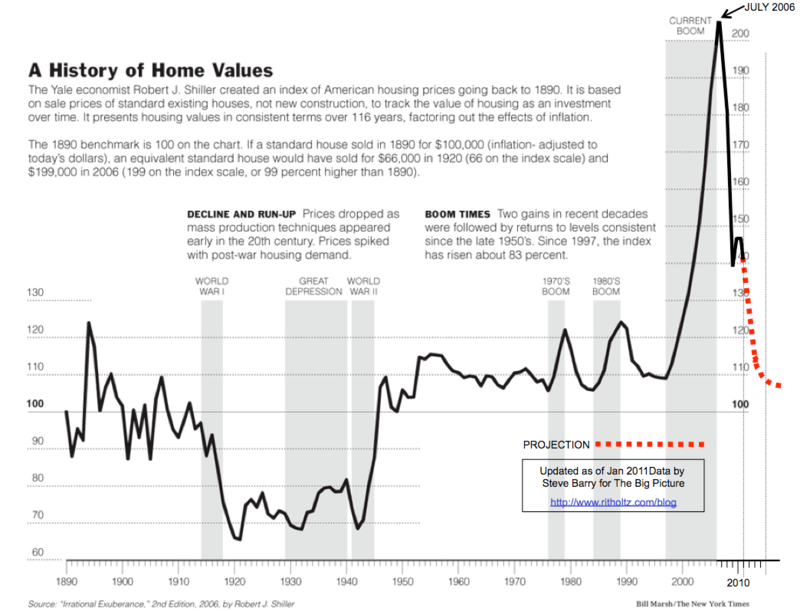 See this very interesting graph showing the change in the housing price index in the US. You will note that it is still heading down and this should be reflected by further declines in property values and problems for local government that depend on property taxes. This report provides a fundamentally accurate analyses of the failures of private and public international assistance in Haiti. The recovery of this sad country will take years, if not decades, and external help is missing many of the fundamental keys to effective help. There is a lot to see in this appraisal and many lessons that have not be learned by those who have tried to help in Haiti over decades. Read this, but don’t expect to find a pretty picture. Today, the hospital stands empty, its consulting and operating rooms abandoned, its beds unused, its scanners gathering dust, its two brand new ambulances sitting under tarpaulins in the yard. On April 1, owner Reynold Savain was forced to close CDTI because neither the Haitian nor U.S. governments, nor the United Nations, would agree to help pay his bills. via Special report: Is aid doing Haiti more harm than good? | Reuters. The same government that is holding in abeyance (hostage?) $160,000 of Red Cross monies, has a mayor who was driving a $100,000 Porsche and couldn’t remember what friend loaned it to him. No further comment needed.